Andrew Mangan is a broadcasting pioneer with a global reach. Most famous through his stewardship of Arseblog, the most popular unofficial global platform for fans of Arsenal FC, Andrew is also a leading light in the world of podcasting, through Arseblog’s Arsecast, and his co-founding of Castaway Media. 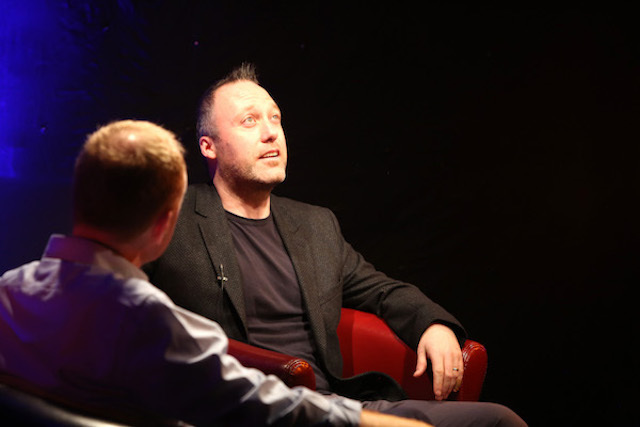 This conversation was recorded at a special Smarter Egg event on the Business of Sport at Upstairs at the White Horse, Ballincollig, Ireland in November 2015. The video footage was filmed and edited by AV3 Productions. This entry was posted in Red Chair, White Horse on January 20, 2016 by Aodan Enright. Loved the interview. Been a huge fan of Andrews’ Arsecast for over two years now and don’t know what I’d do without it. The football knowledge, opinion, banhter and classic sketches are all top draw and any other sports podcast, or business for that matter, simply doesn’t match up. Keeo on doing what you’re doing andrew. My only complaint is the shows aren’t long enough and there aren’t enough of them!